A while back, it was suggested that we compile an All Decade Team for District 1... I have started working on that. I've reached out to a bunch of coaches, officials, and media members to help with it. When I have more specifics on the release of the list/teams, I'll post something but most likely it'll be ready early to mid April. Just wanted to let everyone know to keep checking back...it's going to be a fun project looking back over the past ten years of graduating classes within the district. Everything is moving along nicely with this so far. I contacted around 60 coaches, writers, officials, etc about helping to select the All Decade Team and have votes from about 40 right now (voting closes tonight). 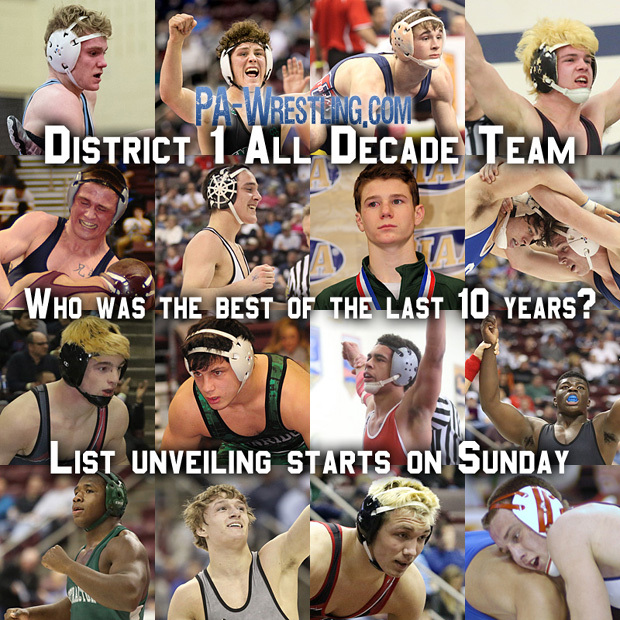 Starting next Sunday, April 14th, we'll be unveiling the District 1 Wrestling All Decade Team...releasing 2 weights per day until we conclude on Saturday, April 20th. Anyone in the graduating classes of 2010 to 2019 were eligible for consideration. Since the weight classes changed prior to the 2011-12 season, we grouped the weights together to have 14 groups and assigned all nominations to a weight grouping. All voters were then asked to vote for their top 5 per group. Points were assigned like we do for the in-season rankings. The points then determine who's on the First Team, Second Team, and Third Team. Honorable mentions will be included as well for anyone earning a certain number of points (to be determined once all votes are sent in). This have been a fun project to work on. I hope it's as enjoyable and fun to read about as it was in putting it together. Oh, and we decided to do a "Wrestler of the Decade" as well. After all the votes were in, we took all the top guys per weight and asked everyone to pick their top 3 overall wrestlers. The Wrestler of the Decade will be unveiled on Saturday, April 20th after the final 2 weights are released. First two weights of the All Decade Team will be unveiled Sunday at 2 PM. The rest of the schedule will be published tomorrow as well. Not Mike, but I imagine it was very close. I had him 3rd on my ballot, but I can see the argument for Gulotta - more medals, more region championships. One of the tougher decisions in this exercise, which for the most part was pretty straightforward. This was a debatable one, Harner/Stillings, sorting out weight classes without much hardware like 145 and 160, maybe a couple others. There are a bunch of weight classes where Fuentes would be the 1st team selection as you will see later on. There was a 15 point difference between Gulotta and Fuentes (132 to 117). So it was close. Parker and Gulotta were actually closer... 145 to 132. I'll probably post the full point totals after the whole thing is released. What was the criteria for assigning weight classes for those considered? I'm shocked Josh Dziewa isn't on the first team. Josh Dziewa no question deserved the top spot. He was first in district 1 to win Fargo if I'm not mistaken. Also the highest place at States should get the nod. I saw at least one time so far where a finalist is ranked lower then someone who didn't reach the finals. Everyone has an opinion but that doesn't seem fair. 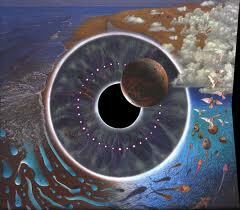 Also the highest place at States should really should get the nod. I saw at least one time so far where a finalist is ranked lower then someone who placed. Everyone has an opinion but that doesn't seem fair. Only high school wrestling accolades were to be used when deciding who to pick on these teams. So while the Fargo result is no doubt great, it wasn't considered. Also, the entire HS career for each wrestler was considered, not just a single season. As far as your other comment, not sure I understand. Both Trampe and Dziewa won state gold as seniors. Trampe has 3 state medals (2nd, 6th, 1st), while Dziewa has 1 (1st). You are mistaken. Mike Pirozzola won Fargo in 1999. Dziewa may have been the better wrestler, that is up for debate, but Trampe definitely had a better high school career.